They'll have my blogger's license if I have the temerity to describe events that happened a month ago as "recent", but you'll have to excuse me-- the Board of Education's been getting more than its money's worth now that school has restarted in a real sense. Since we spoke last there's been a lot to cover-- for one thing, the continuing saga of Drivers' License Conversion. 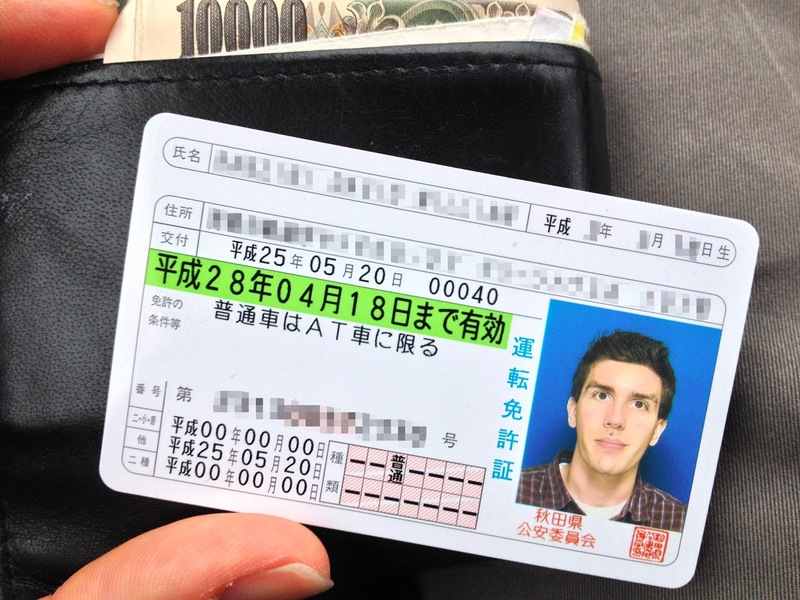 We left off after the first stage of this process, in which the officials of the Akita Drivers' License Center eagerly sought the answers to important questions, like whether or not I'd ever driven a Toyota, before letting my license conversion application proceed to the practical test stage. (Center employee vigorously attempts to pantomime the act of reading): THIS... FOREIGNER... INSTRUCTIONS...! YOU... READ? One of the daily-varying permutations of the driving course, which you're required to memorize turn-by-turn before taking the test. Surprising fact: the course for license-converting foreigners is longer and more complex than all of the others, including the ones for tractor-trailers and construction vehicles. ...which is to say that after an exciting half-day of having a mountain of expensive paperwork rubber-stamped by the same gang of bored jobsworths that processed my initial application, the authorities called forth from the lower circles a thick man with a thinning crewcut and a Kim-Jong-il jumpsuit to watch me drive a retired taxi carefully round an enclosed track and find fault with my mirror adjustment. Examiner: <... And pull up to the line there, uh, I mean....> "RA'IN... SUTOPPU, NEH?" The examiner leans across the seat towards me, clipboard in hand. He's uncomfortably close in the car. It smells like he had a XXL shrimp Cup Noodle and a half-pack of Mild Sevens for lunch. Examiner: <All right. Well, let's see. As for your performance on the test, a few words. First. Here in Japan, we always make sure other cars can see us when we're making turns. So maybe 100 meters away from the corner, we always put on our turn signals [Japanese/German:winker] and make sure other cars can see us. You're putting yours on maybe 50 meters away. Very American to just turn without asking! So first, make sure to ask [Japanese-English appeal] to turn corners.> "APIIRU! APIIRU! WINKA APIIRU! PURIIZU?" The examiner pauses as if about to say something, but catches himself short, his face frozen between expressions. What on earth is he doing? He's not waiting for me to say something, but the conversation clearly isn't over. The moment begins to stretch uncomfortably. What can he possibly be trying so intently to say? You can almost feel him searching around for the appropriate gear inside his head. A ten-to-twelve second slice of eternity crawls by. .... "ZISU IZU JAPANIIZU-SUTAIRU DORAIBINGU!" His expression glows with self-satisfaction. Did the immense machines distract my ride-along from my "American" signalling? I didn't stick around long enough to find out! Victory! And well under the JET average of 3+ tries!